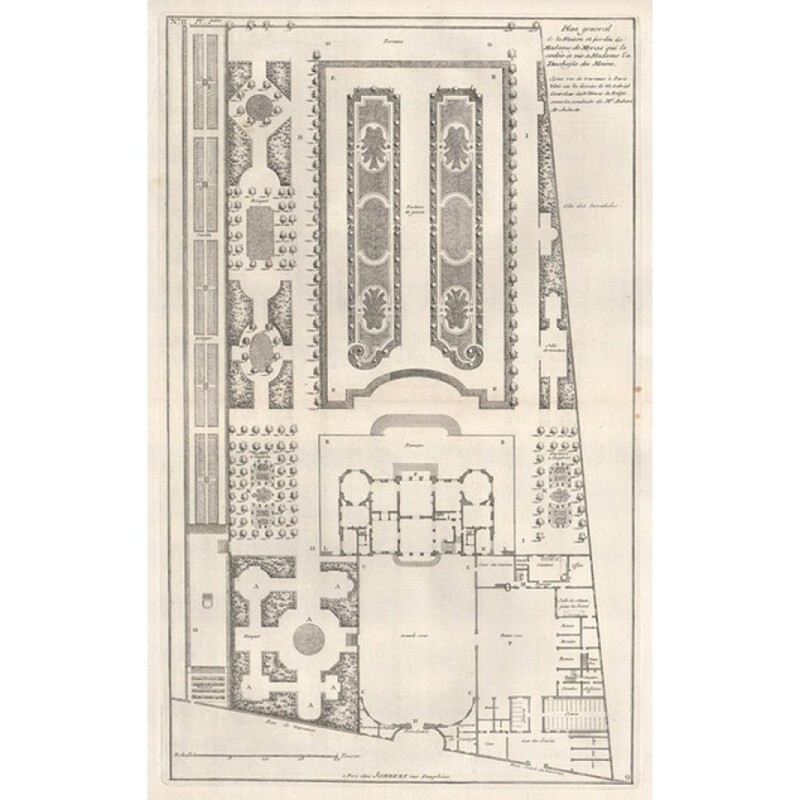 Plan General de la maison et jardin de Moras' (Paris). 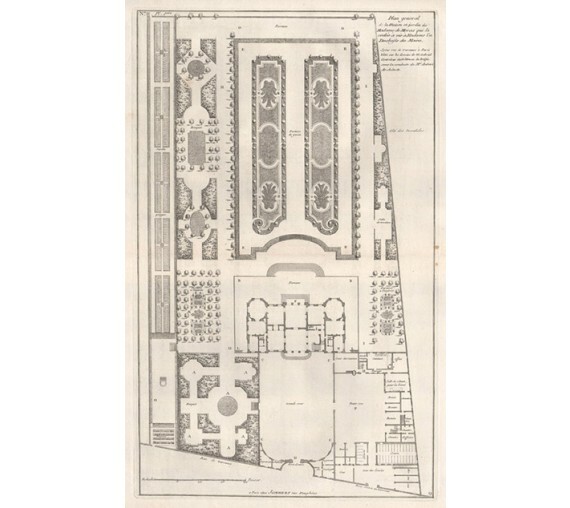 Blondel was an architectural engraving and designer who taught and influenced many prominent architects. 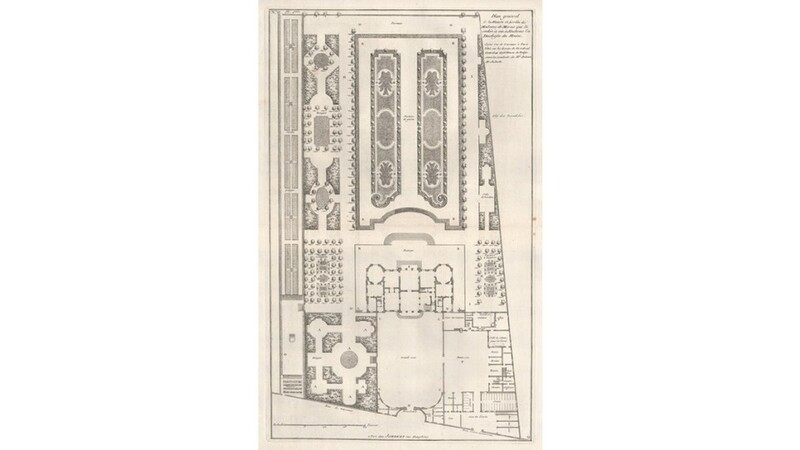 He was also the official architect for King Louis XV. Central horizontal fold as issued. A couple of small spots in right hand margin.